Looking for a cute night light for your chid’s room. 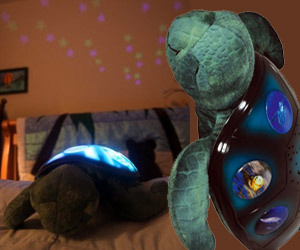 Sea Turtle night light has everything to colorfully bright the night view. It projects stars on the ceiling with options like: ocean blue, emerald green and aquamarine.